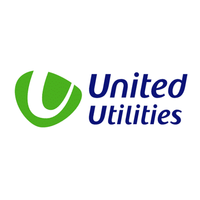 The share price for United Utilities Group PLC with ticker code: LON:UU has climbed 3.77% or 27.76 points in today’s trading session so far. Investors have remained optimistic throughout the session. The period high has peaked at 766 dipping to 732.8. The total volume of shares traded by this point was 744,739 whilst the daily average number of shares exchanged is just 2,840,872. The stock 52 week high is 830.38 about 94.54 points in difference on the previous days close and a 52 week low being 648.6 a difference of some 87.24 points. The market cap now stands at £5,206.90m at the time of this report. All share prices mentioned for this stock are traded in GBX. Mcap is measured in GBP. 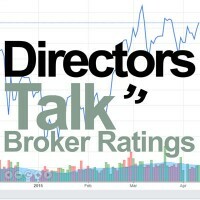 This article was written with the last trade for United Utilities Group PLC being recorded at Thursday, December 20, 2018 at 12:02:39 PM GMT with the stock price trading at 763.6 GBX. Stock in Shire PLC ticker code: LON:SHP has climbed 2.17% or 96 points during today’s session so far. Buyers have stayed positive during the trading session. The period high has peaked at 4597 and hitting a low of 4427.55. The amount of shares exchanged has so far reached 6,145,252 with the daily average traded share volume around 6,931,648. A 52 week share price high is 4827.75 which is 395.75 points difference from the previous days close and the 52 week low at 2940.5 which is a difference of 1491.5 points. The current market cap is £41,514.19m at the time of this report. The share price is in Great British pence. Mcap is measured in GBP. This article was written with the last trade for Shire PLC being recorded at Thursday, December 20, 2018 at 12:03:16 PM GMT with the stock price trading at 4528 GBX. The stock price for Smith & Nephew plc EPIC code: LON:SN has increased 1.07% or 15.5 points during today’s session so far. Market buyers have so far held a positive outlook while the stock has been in play. The period high has peaked at 1472.5 dropping as low as 1428. The total volume of shares exchanged through this period comes to 678,744 while the average shares exchanged is 3,223,608. A 52 week high for the stock is 1548.5 around 96.5 points difference from the previous days close and the 52 week low at 1173 a difference of some 279 points. The market capitalisation currently stands at £12,853.93m at the time of this report. Share price is traded in GBX. Mcap is measured in GBP. This article was written with the last trade for Smith & Nephew plc being recorded at Thursday, December 20, 2018 at 12:02:39 PM GMT with the stock price trading at 1467.5 GBX. The trading price for Smurfit Kappa Group Plc ticker code: LON:SKG has increased 2.18% or 44 points in today’s trading session so far. Buyers seem confident throughout the session. The period high has peaked at 2058 dipping to 1972. The total volume of shares exchanged through this period comes to 178,124 whilst the daily average number of shares exchanged is just 691,304. The 52 week high for the shares is 3308 which is 1294 points different to the previous business close and a 52 week low sitting at 1915 a difference of some 99 points. Market capitalisation is now £5,142.66m at the time of this report. The currency for this stock is GBX. Market cap is measured in GBP. This article was written with the last trade for Smurfit Kappa Group Plc being recorded at Thursday, December 20, 2018 at 12:03:23 PM GMT with the stock price trading at 2058 GBX. Click SHP SKG SN UU for the full archive.